Efforts to increase the utilisation of all materials quarried and minimise waste, is an important part of resource consciousness. Further efforts have also been on productification and use of different side streams, both internal and customer-related. Other circular solutions are deliveries of residual heat from the lime kilns and water from the quarries to the local municipalites. Resource consciousness has lately become a clear focus area in all Nordkalk operations. The need to utilise quarried raw materials as efficiently as possible has been clearly understood and accepted. The company has gradually succeeded in improving the material efficiency of its operations to a very good level. The efforts are often also supported by direct cost savings when less material needs to be transported to landfill. During the past years, resource consciousness and material efficiency have been supported by intense efforts to increase the productisation and use of different internal, as well as customer-related, side streams. In 2018, such products compri- sed 14.3% of the total sales volume, equalling about 5.6% of the net revenue, replacing the need for virgin raw materials. Further product development in this area creates a huge opportunity for Nordkalk in the future, when the circular economy will be a strong driver on the market. Besides the above-mentioned circular solutions, Nordkalk also delivers residual heat from several lime kilns to be used in district heating networks, and clean groundwater from one mine to be utilised as drinking water by the surrounding municipality. Raw material availability, quality control and legal approval processes are challenges to be controlled as the business cases are based on side streams and the utilisation of waste as raw material. Legally binding directives (EU and national levels) will be the most important factor in setting boundaries for the future development of recycling and reuse of side streams and waste materials. Efforts to maximise the use of such raw materials for circular solutions are restricted by the need to secure the cleanness of circulated products on a precautionary basis. Additional limitations are caused by the unpredictable availability of useful side streams as raw material sources for circular products. Such side streams are not produced for a specific need, but instead generated as an unwanted secondary material (or even waste) from the main production process. Nordkalk strives to use the side streams of its own production and helps its customers to do the same. The pulp industry uses lime in its processes, and one of the resulting side streams is electro-filter dust from the lime mud kilns. This fine and reactive material has mostly been used for adjusting the pH level of industrial waste waters. 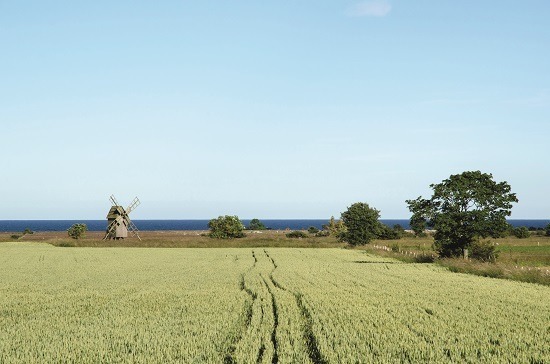 In 2018, a new agricultural pro-duct, Nordkalk Aito+, was created based on lime mud kiln dust. The new product strengthens Nordkalk’s agri portfolio by offering a rapidly reacting alternative for farmers. Lime kiln dust (LKD) is a side stream from quicklime production. It is particularly reactive, which makes it suitable to be used as it is or as an ingredient in structure lime, Nordkalk Fostop®. In 2018, LKD was also tested in a new recipe for Nordkalk Terra® soil stabilisation. The reactivity of LKD works well in stabilisation, to create strong and durable foundations with all soil types. The product will continue to be fine tuned in 2019 to ensure it is of the best quality. In Sweden, LKD is also used in asphalt production as an adhesive additive. Pargas quarry generates two kinds of wall rock, one of which is used mainly for concrete and asphalt production. The other type of stone is suitable for subbase layers in infrastructure projects. New uses that increase material efficiency have been found for this stone type. Lately, it has been used in different offshore infrastructure projects like building breakwaters and ferry quays. In 2017, Pargas stone was used in the Finnish archipelago, and even in Latvia, where three wall rock products were used in building a breakwater: the underwater concrete caissons were built using 8/16 stone, after which they were filled with larger 90/250 stones. The caissons were then cladded on the sides with huge 500 - 2.500 kg chunks. Both wall rock types from Pargas quarry are standardised according to EU standards. Nordkalk E-Series products for coatings and adhesives combine superior quality with cost-efficiency and environmental benefits. In 2018, the product portfolio was expanded to include a new Nordkalk Enrich® dry product, offering more choice to customers. With the assistance of Nordkalk Enrich, the need for titanium dioxide (TiO2) and binder is partially eliminated. 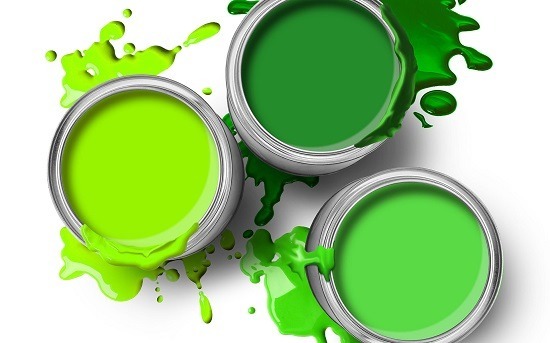 This contributes to lower raw material costs while maintaining the technical performance of the paint at a high level, for example gloss and wet-scrub resistance. Nordkalk Enrich is also an environmental friendly choice for coping with more stringent environmental objectives and advancing carbon footprint reduction. Production of Nordkalk Enrich represents a maximum of 20% of the carbon footprint created by the production of TiO2. Nordkalk is involved in several water-related research projects. In 2018, a co-innovation project was started with the Finnish state research organisation VTT and several companies to develop a waste water cleaning plant operating in a movable shipping container. The plant cleans the waste water while nitrogen and phosphorus are recycled and clean water released. Lime acts as a cleaning agent by precipitating the phosphorus in the process. At lake Kymijärvi in Lahti in Finland, the removal of phosphorus from the hypolimnion (the lower part of the lake water) is studied in collaboration with the University of Helsinki. NP harvest is a project with Aalto University researching nutrient recovery and its technologies from different kind of liquid waste. The Sulfa II project, with for example the Finnish Environment Institute, studies the management of sulfide-induced acidity in peat harvesting. And at lake Alinenjärvi in Nokia, the 100-year project is in its 22nd year to keep the lake in good condition. To improving the material efficiency in our operations, thus extending the lifetime of our valuable natural limestone resources and reducing waste with a 100% material efficiency target. To fully utilising all internal side streams, whether limestone-based, wall rock, energy or water. To supporting and developing lime- catalysed solutions for efficient reuse of organic residues and nutrients. To developing circular solutions to improve fertility of arable land and to reduce eutrophication of water courses. To developing products with non or low carbon footprints.